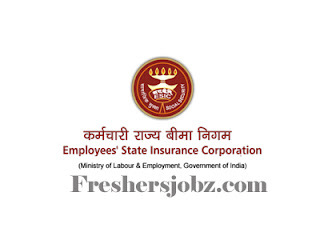 ESIC Delhi Notification 2018.Employees State Insurance Corporation Delhi has released a notification for the recruitment of Senior Resident vacancies in Medicine, Anaesthesia, Surgery, Biochemistry, anesthesia, orthopedics, casualty, microbiology etc departments.Check the eligiblity and notification prior to apply for the positions. MBBS / PG degree holders / diploma holders in respective discipline from a recognized university can apply for the SR post. Maximum upper age limit for applicants is 37 years. Age relaxation for SC/ST is 05 years, OBC is 03 years. Selected candidates as SR post will get pay in the level 11. On 08th & 09th October 2018 along with all essential documents may appear for ESIC Delhi walk-in notification.